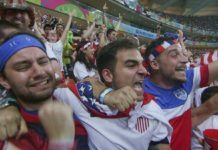 Covering a region where football is more of a religion than a sport, the La Reta Documental film crew is on a journey through 10 Latin American countries to uncover compelling stories and people to the rest of the world. Josue Rueda first saw Daniel on the way home from work. 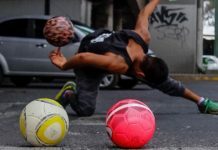 Stopped at a red light, he watched Daniel walk in front of the idling cars, a ball in his hands, as he started to juggle. He was spectacular. His well-oiled freestyle routine of flawless kick-ups and deft touches transfixed Josue, and for a brief moment the intersection wasn’t a place people wait to go — it was a place people go to wait. And then, in a flash of green, it was over. Drivers woke from their trance, and exhaust replaced any memory of the extraordinary dance between man and ball. But as traffic carried Rueda homeward, he was already devising a plan — to construct a red light big enough to halt the world. 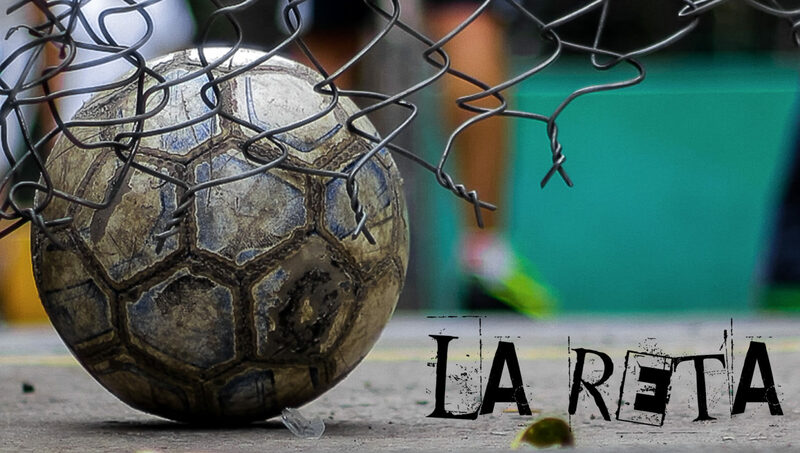 La Reta is that light, a documentary that will offer us an opportunity to stop and meet the forgotten players of the footballing world — the people with ordinary lives and extraordinary abilities that experience poverty, homelessness, discrimination, as well as normalcy, in the shadows of the beautiful game. Inspired by Che Guevara’s Motorcycle Diaries, the film will travel to all corners of Latin America to find and give a voice to those who have found refuge in a ball. As Rueda, La Reta’s filmmaker and Maja Pejuskovic, its producer, prepare to embark on this voyage, they are looking for our help to bring these stories to life. La Reta was originally set to be a web series with short episodes dedicated to stories like Daniel’s. The more people they met, however, the more they saw something much larger, something more continuous and interwoven than a string of features. 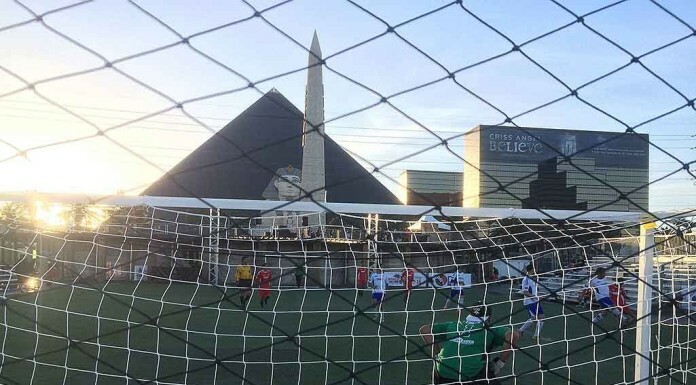 Football’s commercial rise has turned our heads away from those who feed it. While inspiration and talent passes freely from the Ronaldinhos on the screen to the Daniels on the street, money rarely falls down the same path. To tell this story properly, the duo started to strip everything that accessorizes commercial football away and focus on that which gave our beloved game its name — the ball. It was then that they saw La Reta for what it will become, a story about the power of the human spirit to convert a ball into a tool to tackle difficult social conditions. A tool of hope. 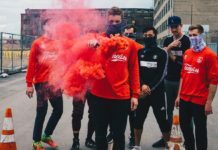 Now, with interviews and stories recorded from the local street ballers, freestylers, and even a circus artist in Mexico, Rueda and Pejuskovic are gearing up to visit 10 countries in 24 weeks to finish La Reta. In some countries, like Argentina and Columbia, they have freestyle contacts to guide them. In others, finding the extraordinary will require exploration, roaming the streets to discover where football has hidden some of its forgotten humanity. There’s a purity to this approach that is central to the goal of the documentary. Incredible talent isn’t reserved for the rich and famous — it’s alive both in the ordinary and the anonymous. Only by stumbling upon these stories organically can they appropriately represent the silent roar of the many who have found refuge through a ball. Rueda and Pejuskovic are currently looking to raise funds for their travel expenses and equipment needed to produce the documentary. They have a crowdsourcing site open to donations, where benefactors will receive bonuses that include digital photographs, exclusive footage, and an executive producer credit, among others. The film’s official website also has a detailed list of what they plan to do with their budget, as well as which equipment they have and what they are in need of. Their overall goal is to reach the $13,000 mark by March 17, that way they can begin traveling around Latin America to finish filming. La Reta represents an opportunity to invest not only in the footballers that inspire us, but in those that football has inspired. Stay up to date with La Reta’s status by following its official Instagram account. Beautiful, well written article on a worthy project giving voice to the many talented but often overlooked people in the world. I hope others join in supporting this project.